GTC Japan -- NVIDIA today announced the global availability of the Jetson™ AGX Xavier™ developer kit, with industrial and manufacturing leaders in Japan among the first to begin utilizing the new system. Speaking at the GPU Technology Conference in Japan, NVIDIA founder and CEO Jensen Huang announced that FANUC, Komatsu, Musashi Seimitsu and Kawada Technologies will adopt Jetson AGX Xavier in their next-generation autonomous machines. 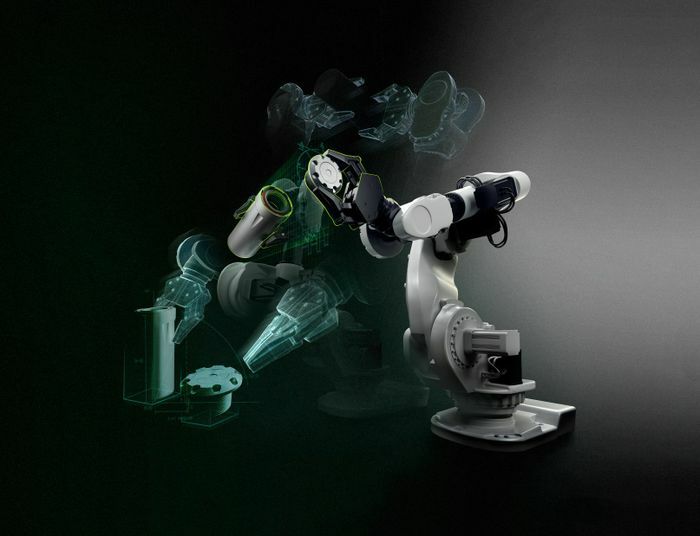 Jetson AGX Xavier was built to meet the large computational requirements for AI-powered robots. Starting with a small computer module capable of up to 32 TOPs (trillion operations per second), it delivers the processing capability of a powerful workstation yet fits in the palm of your hand. With multiple operating modes at 10W, 15W and 30W, Jetson AGX Xavier has greater than 10x the energy efficiency of its predecessor. Jetson AGX Xavier also supports a full software stack for developing and deploying AI applications through the NVIDIA JetPack™ SDK, which includes the latest versions of CUDA®, cuDNN and TensorRT™. This combination of hardware and software enables companies and developers to quickly develop the next wave of intelligent machines. Traditional industrial and manufacturing robots have been expensive to program and could only complete fixed, specific actions. 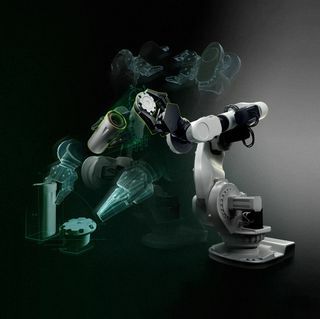 However, through deep learning and AI, robotic arms and other equipment become autonomous machines — increasingly flexible and programmable, and able to learn and perform more complex and intelligent tasks. With dynamic factory reconfiguration and automation for different product lines, companies can deploy them to better meet the changing demands of consumers, translating to lower costs. — Hiroshi Otsuka, president and CEO of Musashi Seimitsu Industry Co., Ltd.
— Tadahiro Kawada, president of Kawada Technologies, Inc. The NVIDIA Jetson AGX Xavier developer kit is available now for $2,499. Members of the NVIDIA Developer Program are eligible to receive their first kit at a special price of $1,299. Attendees of GTC Japan can purchase the kits onsite through local distributor Ryoyo. 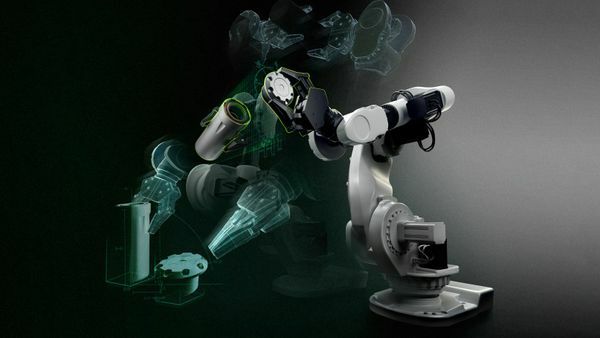 Certain statements in this press release including, but not limited to, statements as to: the availability, benefits, performance, features and abilities of Jetson AGX Xavier and the Jetson AGX Xavier developer kit; industrial and manufacturing leaders in Japan being the first to leverage Jetson AGX Xavier and using it in their next-generation machines; Japan driving the world of robotics in numerous industries and its most important industrial leaders adopting Jetson AGX Xavier to usher in a new era of AI robotics; Jetson AGX Xavier meeting the large computational requirements for AI-powered robots; deep learning and AI enabling robotic arms and other equipment to become autonomous machines and their abilities; Jetson AGX Xavier enabling companies to better meet the demands of customers; Jetson AGX Xavier’s combination of hardware and software enabling companies and developers to quickly develop the next wave of intelligent machines; AI and deep learning continuing to optimize factory automation and Jetson AGX Xavier helping to reshape manufacturing and making factories more efficient; Jetson AGX Xavier allowing the creation of an autonomous fleet of construction and mining equipment and its potential abilities; Jetson AGX Xavier automating the inspection of high-precision machine parts with greater speed and accuracy, and it being efficient in identifying defects and ensuring high-quality products; Jetson AGX Xavier being the key platform to boost productivity and efficiency in manufacturing while increasing workplace safety; Jetson AGX Xavier’s ability to be designed into machines so they can handle more advanced tasks; and robots not being pieces of equipment, but collaborative partners that can work alongside humans are forward-looking statements that are subject to risks and uncertainties that could cause results to be materially different than expectations. Important factors that could cause actual results to differ materially include: global economic conditions; our reliance on third parties to manufacture, assemble, package and test our products; the impact of technological development and competition; development of new products and technologies or enhancements to our existing product and technologies; market acceptance of our products or our partners’ products; design, manufacturing or software defects; changes in consumer preferences or demands; changes in industry standards and interfaces; unexpected loss of performance of our products or technologies when integrated into systems; as well as other factors detailed from time to time in the most recent reports NVIDIA files with the Securities and Exchange Commission, or SEC, including, but not limited to, its annual report on Form 10-K and quarterly reports on Form 10-Q. Copies of reports filed with the SEC are posted on the company’s website and are available from NVIDIA without charge. These forward-looking statements are not guarantees of future performance and speak only as of the date hereof, and, except as required by law, NVIDIA disclaims any obligation to update these forward-looking statements to reflect future events or circumstances.